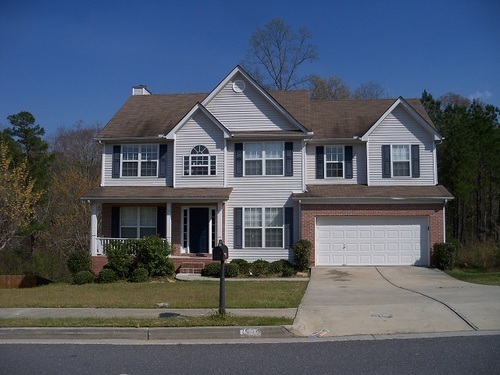 FULL BASEMENT 2-STORY WITH AN OFFICE UPSTAIRS BEAUTIFUL 4 BEDROOM 2.5 BATH 2-STORY TRADITIONAL ON A FULL BASEMENT WITH A PRIVATE BACKYARD. LARGE MASTER W/TREY CEILING. SEPERATE OFFICE UPSTAIRS. BASEMENT IS STUBBED FOR A BATH AND READY TO FINISH. ALL LARGE ROOMS, COZY DEN W/FIREPLACE, FORMAL LIVING AND DINING ROOMS. KITCHEN HAS PANTRY, ISLAND, AND IS OPEN TO THE DEN. THIS IS A LOT OF HOUSE FOR THE MONEY.